If you care about bees, here is a letter you can adapt and send to a retailer regarding neonicotinoids. 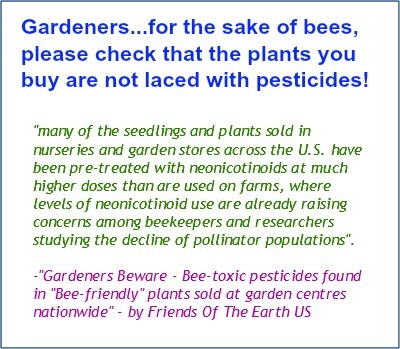 I am very concerned about the impact of pesticides on bees and other pollinators (not to mention, human health! ), and in particular, I am keen to avoid neonicotinoid and systemic pesticides. These include: Imidacloprid, Acetimacloprid, Clothianidin, Thiacloprid, Thiamethoxam, Dinotefuran, Nitenpyram and Fipronil. 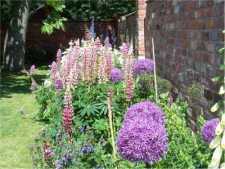 Please could you let me know which fruit and vegetables you supply, are grown using these chemicals (if any), and also whether your range of cut flowers and pot plants are also cultivated using them. Also, please can you confirm whether you stock any insecticide products containing these chemicals. If you do, I urge you to remove them from your shelves and refrain from stocking them in future. Regardless of what the various government departments may say about them, I am aware of independent evidence and view points, and these are products I wish to avoid if they are grown using these pesticides. I would also like to know which pesticides generally, are used in the same foods.